Judging by the number of hands painted in prehistoric caves it would seem the human hand held a interest for humans since the stone age. Archaeological discoveries have discovered hands made of stone, wood and ivory by ancient civilizations. The emperor of china used his thumbprint when sealing documents in 3000 bc. Information on the laws and practice of hand reading have been found in vedic scripts, the bible and early Semitic writings. Aristotle (384-322 bc) discovered a treatise on palmistry on an alter to the god Hermes. The Greek physicians Hippocrates and Galen (ad 130-200) were both knowledgeable about the use of palmistry as a clinical aid. Julius Caesar (102-44bc) judged his men by palmistry. For assessment of Future Life Prediction based upon Palmistry please send scanned copy of Palm Photograph of both Palms (hands) in a clear and readable format through email attachment..Pl. send clear pictures of your both Palms separately, preferably taken by a Digital Camera, and Palm Pictures must be taken from your forearm portion, where you normally wears wrist watch or bangle, as that part contains some very important Palm Lines, till full Palm. 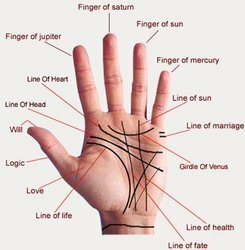 We have very Special Service of combining Vedic Astrology to Palmistry, as we know Horoscope/Kundli/Birth Chart provides planetary position at the Birth Time, whereas Palmistry or Hand Reading provides present planetary position and combination of both will give correct Astrological picture. For this you need to give your correct Birth Details and also provide both Palms clear scan picture, in which lines or Hasthrekha must be clearly visible.Hastha Rekha Gyan is very ancient Palmistry Science in India. 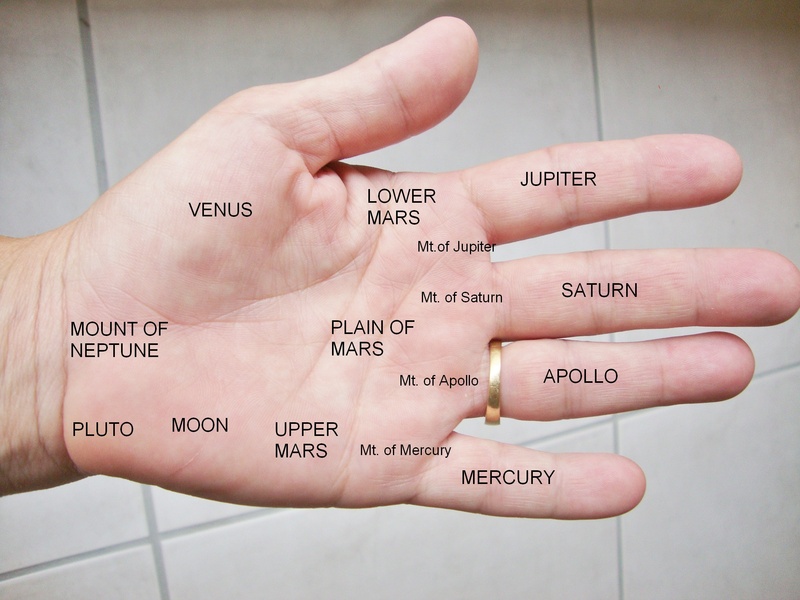 All needed Astro-Remedies will also be suggested, as per your Palm Reading.